Trick Daddy and Trina continue to put on for Miami with everyone of their efforts. They've had memorable collaborations that are not only staples in Miami but staples in hip hop. Over the summer, they announced their TNT joint project and led the roll out with "Smooth Sailing," which had a gritty vibe and the video highlighted the gutters in Carol City. Today, they deliver their latest single off of the project "Paradise" with Mike Smiff. "Paradise" is a contrast to the first single off of their joint project. It's a celebration of Miami's beautiful weather and vibrations that draw everybody to the city. 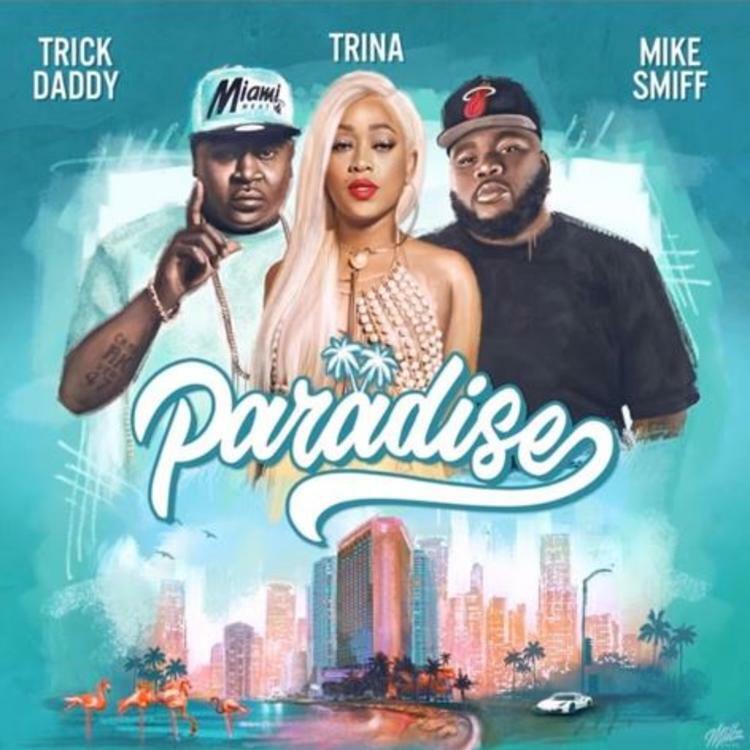 Both Trina and Trick Daddy use the single as a moment to declare the appreciation of their humble beginnings. All three artists draw inspirations and encounters of their childhood to bring the song to life. "Paradise" brings a heavy 80's pop vibe with the Meli'ssa Morgan "Fool's Paradise" sample ringing throughout the single. It's sunny and upbeat while Trick Daddy and Trina still bring their own grit throughout it all. While we've yet to receive a release date for their upcoming TNT project, expect it to drop in the near future. The two artists will also be the focal points of Love & Hip Hop's upcoming season in Miami, airing at the top of 2018. Trina herself's been gearing up to drop some new music. Along with the TNT project, she's also been gearing up to drop her sixth studio album, The One which was supposed to drop in September. It's yet to see the light of day but with all this work she's put in this year, she's bound to deliver another album filled with everything we love about her.